And sometimes, we just get to enjoy that sacrifice a whole lot! 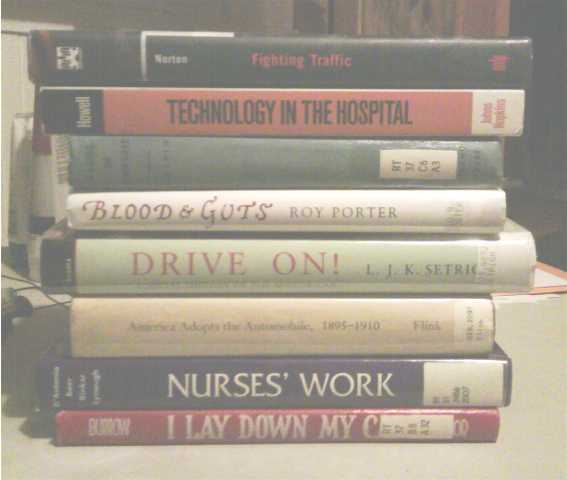 I have gotten quite behind in my research reading for my historical YA. “Behind” translates into, “Oh, boy, do I have a lot of books out from the library that can’t be renewed for much longer!” So this week, although I’m hoping to get some scene plotting done as well, a big chunk of my time will be alloted to, if not reading all these books, at least reading through them to see if they have any of the information I need. And, then, you know, I’ll put them back on my shelf and return them to their various library homes, until I get to another chapter and realize I need them again! It’s supposed to rain on and off this week, so, honestly, I’m looking forward to quiet time on the couch, with the rain falling outside and the cat keeping me company inside. It’s been a fairly disjoined week or two, as well, so I’m also looking forward to refocusing, re-immersing myself in my story world—getting back into the time and setting, while I mull over what trouble my MC will get herself into next. The one thing I’ve learned about this character, is that—as much as there are times I’d like to—I can’t rush her. Plus, it’s weeks like these, when I feel like maybe you’re stepping too far away from the writing, that I surprise myself by finding treasures to bring back to it. What’s your project for the week? Great line, Becky (translation etc). Laugh-out-loud funny. Kudos on your reconnection and your research. I have to laugh at your stack of books because I can really identify, not necessarily on the research books, but I’m famous (to myself) for checking out 15 or 20 books at a time. I’m doing the Book In a Week this week and using it get 40 pages (10K) further on my book. Good luck/have fun with the BIAW! Yes, I have a little stack of those reluctant returns also. Certain books, I might just as well buy because I’m going to fork over some hefty fines. But I figure that makes me a Friend of the Library. We’re expecting snow here although not the kind to snow us in, I don’t think. I do take notes, because I think, Oh, I need to remember this. But they’re not organized, just in a notebook, and I actually despair about ever really being able to use them! What about you? I’m not a great notetaker. I scribble in books, flag things, photocopy things. And spend too much time looking for info I know I read somewhere! Have fun & good luck! I just cleared off another shelf in my office, which may (okay, probably will!) get filled with more of those ones we have to keep! Happy reading, Becky! Love that translation. I’ve been in that same place all too often. 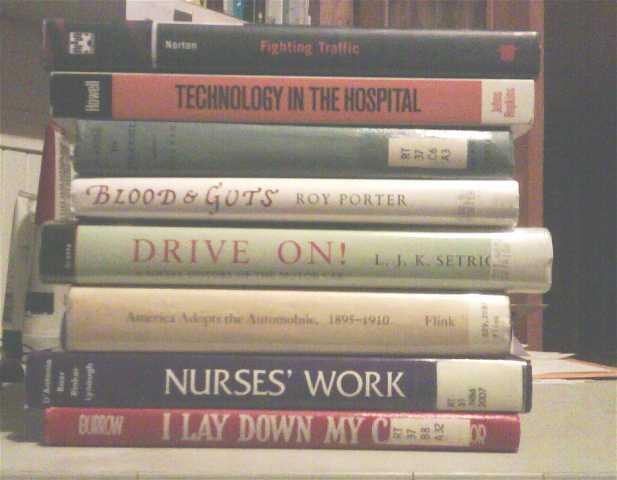 In fact, I have some books due yesterday that need to go back pronto. How are you handling packing books (not library books!) for your move? That’s the part I’d find hardest, I think. Very nice to meet you and hear of your book. Great advice about receiving critiques and troubleshooting critique groups. My last group’s issue was “6 different opinions, great, I have no idea what to apply now. Guess I’ll shelve the work and remain clueless.” sigh.